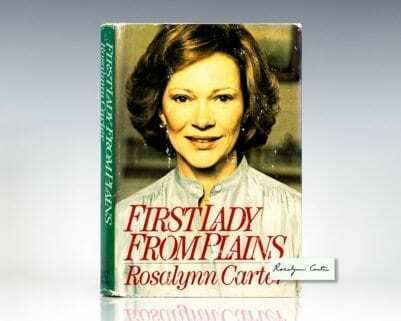 First edition of the Rosalynn Carter’s autobiography. Octavo, original cloth, illustrated. Signed by Carter on the front free endpaper. Fine in a near fine dust jacket. Jacket design by Robert Anthony. "What makes Rosalynn Carter so interesting and her memoir so compelling is her awareness that she is part of a long and distinguished historical tradition: the southern lady in politics . . . What ought to be a continuing legacy is Rosalynn's success in breaking new ground as a First Lady, without uprooting the traditions of the past" (Minneapolis Tribune). 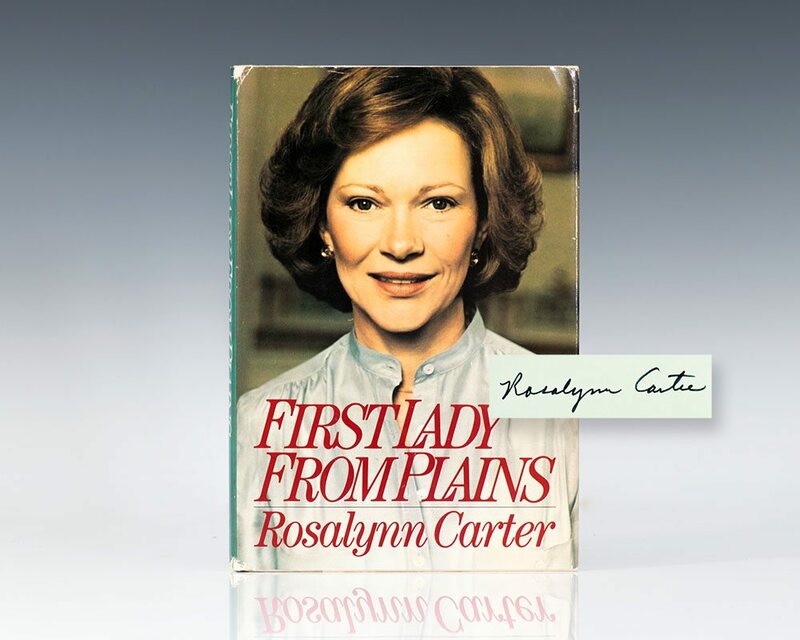 Early printing of the Rosalynn Carter’s autobiography. Octavo, original cloth, illustrated. Signed by Carter on the front free endpaper. Fine in a near fine dust jacket. Jacket design by Robert Anthony.